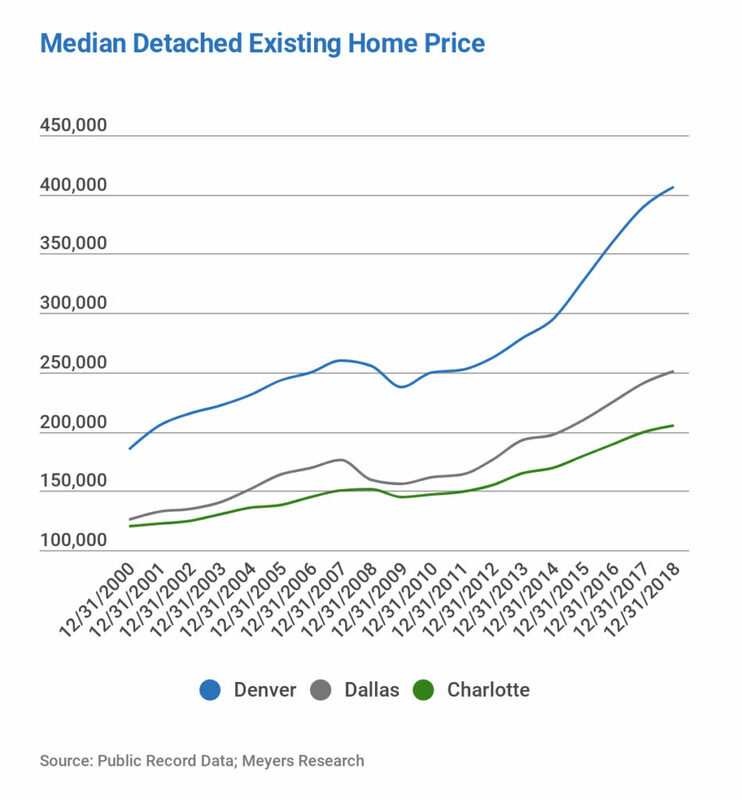 The housing markets in places like Denver, Dallas, and Charlotte experienced a relatively small drop in home prices during the Great Recession (they also did not have a big run-up), but are now up 30+ percent since the peak. The affordability ratio for these markets ranges from 31 percent to 46 percent, which may sound good by LA or Seattle standards, but is relatively low for the given markets. When we talk about incentives, we need to remove the robustness of 2017’s housing market from our recent memory and remember that they are normal this time of year because of both seasonality and fiscal year-ends for builders; four publicly traded builders had year-end between September 30th and October 31st and another two have it November 30th. As seen in the graph below, of the markets most above the previous peak, Dallas is one that looks unlike itself pre-2010. During the last housing cycle, affordability statistics showed 50% of households could afford the median-priced new home in Dallas; today, it’s 45%. Dallas’ heat over the past couple of years has cooled as prices hit the consumers’ pocketbooks. When we say cooled, year-to-date contracts in Zonda through July rose 23% from 2016 to 2017, but grew just 5% over the same period from 2017 to 2018. 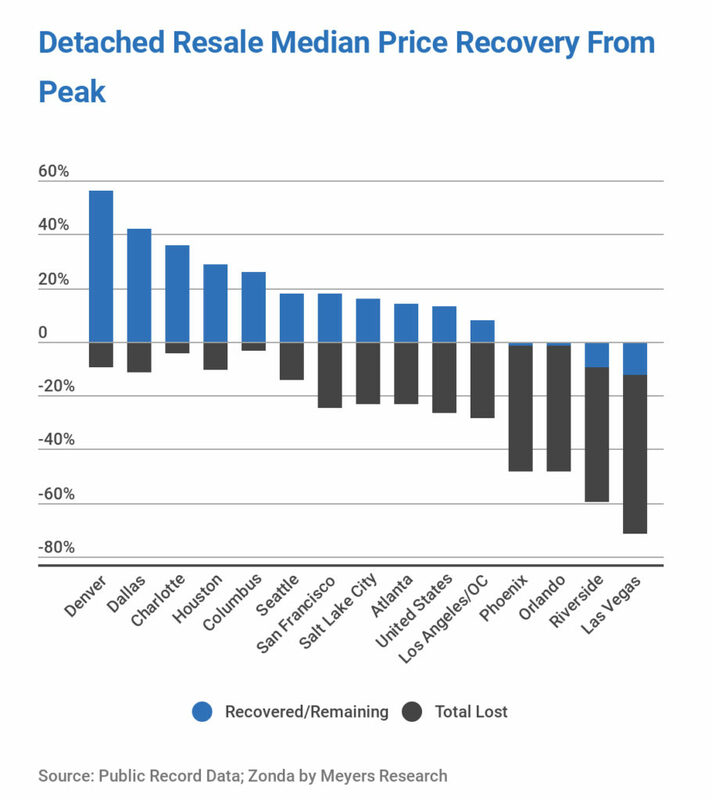 Looking at the higher price points in the market, inventory is starting to face some pressure. We would not be surprised to see some discounting and incentives by year-end in the market. “The regulatory environment in Dallas has restricted builders’ ability to deliver smaller lots in a way that it hasn’t in other Texas markets. 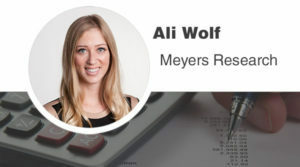 We are seeing more interest in attached product in Dallas, particularly in master planned communities, in response to affordability” explained Scott Davis, Meyers Research’s Senior Vice President of Advisory.